An Air New Zealand flight has been denied permission to land in Shanghai after the Chinese authorities discovered a reference to Taiwan in its documentation, supposedly an indication of the country's support for independence for the democratic island. "Multiple sources say paperwork for the Air NZ flight 289, which returned to Auckland after several hours in the air included reference to Taiwan which China took to be an acknowledgement that the island was independent," New Zealand's Stuff.co.nz news website reported. While the People's Republic of China's ruling Communist Party has refused diplomatic ties with any country that recognizes Taiwan, this is the first time that another country's flag carrying airline has been sent home in mid-air over the issue. According to passenger Eric Hundman, Air NZ hadn't disclosed a detailed explanation for the flight's Monday turnaround. "The aircraft operating your flight did not have regulatory approval to land in China and was required to return to Auckland," the airline said in a screenshot of a text message sent to passengers posted to Hundman's Twitter account. Chen Weijian, the New Zealand-based editor-in-chief of the politicalmagazine Beijing Spring, said the emerging reports appeared to contradict an earlier statement from New Zealand prime minister Jacinda Ardern, who said the plane's forced U-turn had nothing to do with politics. China last year issued a number of complaints about companies' use of the word "Taiwan," especially where its usage implied a territory that is distinct and separate from its own. In April 2018, Beijing's Civil Aviation Administration requested that foreign airlines take "Taiwan," "Hong Kong" and "Macau" out of their lists of countries, or standalone destinations. However, Hong Kong and Macau are former colonies that have returned toChinese rule, while Taiwan has never been ruled by the Chinese Communist Party. The requests were rejected at the time by the U.S. government as "Orwellian nonsense." "I think the main problem here is that Taiwan was given an independentlisting," Chen said. "I think that [Ardern] was, quite frankly, just trying to play down the incident ... They wanted to deal with the matter privately, by accepting China's demand that Taiwan not be given separate status as an independent country or region." He said the New Zealand government had been the target of a long-terminfluence campaign by the Chinese Communist Party. "Communist Party infiltration in New Zealand is actually very serious," Chen said. "New Zealand has typically followed Australia's lead in the past, but now they are distancing themselves from Australia and cozying up to China." Yang Sen-hong, president of the Taiwan Association for China HumanRights, said Beijing has no right to make such claims about the island, which it has never governed. "Taiwan has never been a part of [the People's Republic of] China," Yang told RFA. "This insistence that people list Taiwan as part of Chinese territory is a lie." "They try it on and then when it doesn't work, they fly into a rage," he said. "That's not how an major country should behave. I think that if they carry on like this, it's going to cause more and more of a backlash among other countries." He said Taiwan needs to stick to its point of view. "We need to keep on hitting back strongly whenever the Chinese Communist Party does such things," Yang said. Last month, Taiwan president Tsai Ing-wen rejected calls from ChinesePresident Xi Jinping for the democratic island to "unify" with the People's Republic, saying its people have no wish to give up their sovereignty. Tsai Ing-wen responded by asserting the right of Taiwan's 23 millioninhabitants to decide their own fate. "I want to reiterate that Taiwan absolutely will not accept 'one country, two systems,'" Tsai said. "The vast majority of public opinion in Taiwan is also resolutely opposed to 'one country, two systems.'" Instead, China insists that Taiwan is a breakaway province of the People's Republic of China, and refuses to engage in government-to-government talks, while Tsai has called on Beijing to handle negotiations on an equal basis. When the Kuomintang regime fled to Taiwan in 1947 after losing a civil war to Mao Zedong's communist troops, the Republic of China governmentceased to control most of China, though it continues to be the official name of the Taiwan government. In September, the state-backed Global Times newspaper hit out at Appleover its listing of Taiwan, Hong Kong, and mainland China as separateentities, claiming that the democratic island of Taiwan is "an inalienable part" of China's territory. Hong Kong and Taiwan were listed "on par" with China on a slide showing markets for the new iPhone XS, the Global Times newspaper, sister paper to ruling Chinese Communist Party mouthpiece the People's Daily, said. China has also complained about a similar listing for the island on the website of furniture giant Ikea. Stupid as Taiwan is not a destination? Taipei is the correct destination. Anyone flying to there knows where it is. The whole issue is based on a piss poor understanding of geography and where aircraft can land. Wasn't it due to land in Shanghai? Neal's way of suggesting that all those Chinky place names sound alike. Akin to Robert Duvall's portrayal of Lt. Colonel Bill Kilgore in quoting, "all those Dink places some alike to me"
They are worse than muslims and Allah with their offence-taking snow-flakism about Taiwan. Asserting their power ....again. But it really does seem petty and childish. If only they knew how much loss of face it causes. If only they knew how much loss of face it causes. What were you drinking. I was suggesting that if Air NZ had Taipei as the destination city and not Taiwan as the destination country the whole thing would not have happened. If you don't like Taipei then use Taoyuan. It irks me when people are thick. Getting multi-nationals to refer to Taiwan as PRC is a de facto win....just a matter of time before gov'ts follow suit....50 years down the road ROC won't exist. It was not the destination. The plane was headed for Shanghai. Taiwan was simply mentioned in passing on the flight plan. Yep. 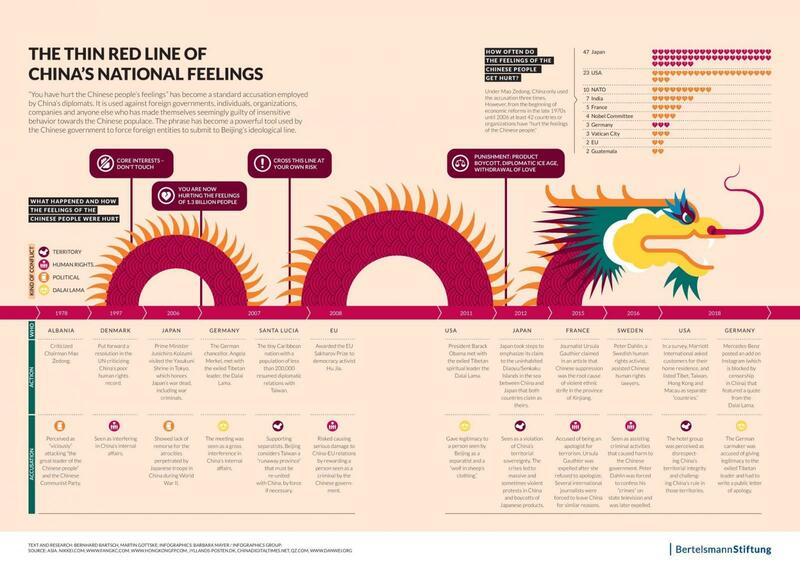 The Chinese government merely exploiting any deemed weakness it can, same as most countries do anyway. I read the OP. Again they should not have mentioned the word Taiwan. FFS Is everyone slow? Aircraft have to transit through ATC areas. They could or should have been politically savvy and mentioned Taoyuan, Songshan, Kinmen, Beigan, Nangan, or whichever controlled area they were flying in or near. 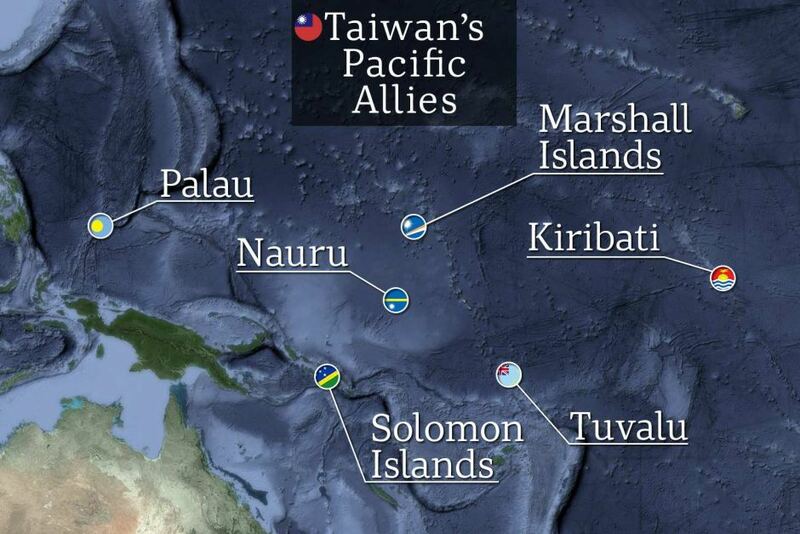 Taiwan donates large amounts of aid to its six Pacific allies, but China wants to prise off its remaining supporters. Beijing has intensified its campaign to isolate Taiwan in the Pacific, pressing for the region's peak diplomatic body to formally embrace a One China policy. Sources from two Pacific Island nations say Chinese officials have tried to convince them the Pacific Islands Forum (PIF) should accept that the Chinese Communist Party is the rightful government of both the mainland and Taiwan. The move is inflammatory because the Pacific remains one of Taiwan's last bastions of diplomatic support, with six nations in the region — Solomon Islands, Kiribati, Marshall Islands, Nauru, Tuvalu and Palau — recognising Taipei rather than Beijing. But China has been intent on prising off Taiwan's remaining allies around the globe. Not being reported in the NZ Hearld. They should just ban all Chinese passenger airlines everywhere until the chinkies STFU about it. Added benefit is that you'll be able to get food at Asian hotel buffets. Slightly off topic, but when I was diverted to HK last year, and missed a connecting flight, I had to stay overnight at the airlines expense. My last time in HK was in 1990. Hadn’t registered until reading this, but I can now add China to the list of countries I have visited.